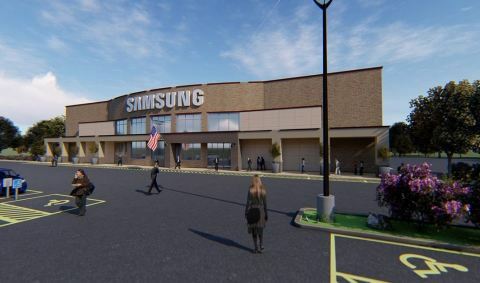 RIDGEFIELD PARK, N.J.--(BUSINESS WIRE)--Samsung Electronics America, Inc. today announced it is opening a new breakthrough Connected Customer Care Center in Greenville, South Carolina. The 34,928 square foot facility will support the company’s move towards integrated connectivity between Samsung products and services, and ensures that not only are the company’s hardware products ready for integrated multi-device use, so too are the company’s critical support systems. To date, 71 percent of U.S. households have at least one Samsung device, and nearly one third of U.S. households have three or more Samsung products. These numbers grow every day, as do the way consumers use their products. For years Samsung has been investing in delivering major, transformative benefits to the way consumers use Samsung devices – extending and expanding the way each product works together to create continuous user experiences. The new site will help support consumers’ desire to seamlessly connect their devices and will ensure they get the most out of Samsung’s products and service offerings. The facility, which will bring 200 additional Samsung support jobs to South Carolina in 2018 and a total of 400 new jobs to the region by 2020, is part of the company’s continued efforts to deliver exceptional customer care at more touchpoints throughout the U.S. 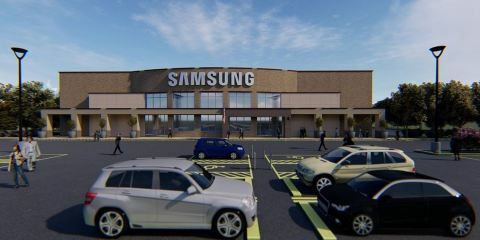 It will include two advanced training centers for onsite agents, a showcase of the latest Samsung products across all categories, a private and secure video chat support area, and a connected living lab with Samsung and competitive products that will allow agents to test the real-life consumer experiences. Employees will also be able to enjoy a collaborative, open work environment, an onsite café and a variety of other amenities. Samsung will open the new site in partnership with Alorica, the world’s leading platform for customer interactions. Harnessing Alorica’s expertise in customer service experience, customer retention and insights from more than 600 million interactions, agents will be able to deliver augmented, streamlined customer experiences for Samsung users across the entire Samsung ecosystem of products. The facility will be located at 901 Holland Road in Simpsonville, S.C. and will be Samsung’s second customer care location in the state. The company opened up its first product support center, which employs more than 600 people, in Simpsonville, S.C. in 2009. With this new location, there will be more than 1,000 Samsung support jobs in South Carolina by 2020. In addition, earlier this year Samsung opened a $380 million home appliance manufacturing plant in nearby Newberry, S.C.
South Carolina was chosen as the location for the Connected Customer Care Center based on the state’s skilled workforce and the company’s existing facilities in South Carolina. Additional details on the site as well as the building’s formal ribbon cutting will be made available later this summer. For the latest in Samsung Customer Care news, visit the Samsung U.S. Newsroom.